The federal government has caught the customer experience bug. We want our customers to complete their tasks with minimal effort using a streamlined process. If they need personal help, we want it to be quick, polite, and provide the best answer. But that personal help frequently requires a team of highly skilled, dedicated people—a contact center. When people call to ask how much it will or should cost their agency to have a contact center, I can’t give them an answer. I want to, but until I learn what they need, and the customer experience they want to provide, I really don’t know enough to give an accurate estimate. It’s similar to buying a car. There’s not one answer to how much it costs to buy car; it depends on what you’re looking for. Do you want a car or an SUV? Automatic or manual? High-performance or economy? Leather or fabric interior? Just as all these elements weigh into the cost of a car, the cost of a contact center is dependent on many factors. As the manager of the USA.gov Contact Center and the Co-Chair of the Government Contact Center Council (G3C), I get this question about once a month. We’ve developed a set of questions that will help an agency determine the type of contact center support they need. Do you want contractor support or will you be using government full time employees? If contracting out, what level? What are the anticipated, most common types of inquiries you expect to receive? Who are your customers/why are they contacting you? Customer demographics impact channels, languages, and hours of operation. Channels: What channels would you like to answer? How complex is the Tier 2 matrix—how many different Tier 2 contacts are there? What are the hours of availability of Tiers 2 and 3? If they don’t match Tier 1 support, what is the solution for the other hours? Hours of Operation: What are the expected hours of operation? Note: A commercial, professional language line can provide affordable access to many languages. What is the average handle time (the estimated average length of call)? What is the estimated after-call wrap-up time? Do CSRs need any special security clearance to answer inquiries? Does your agency want to use an existing toll free number? Do you want a new toll free number just for this topic? What company provides telecommunications for your agency? Will you use recorded messages (IVRs) for FAQs? Does your agency have current contact center procedures documented? Does your agency have specific policies documented? What type of CSR training is required? What is the estimated length, in days, of new-hire training? Do you have any training materials developed? If no training modules/curriculum are available, who will be responsible for developing and delivering the training? What information needs to be captured about each inquiry? What types of reports are needed? What are the required performance standards/Key Performance Indicators? (Response Time, Service Level, Quality Assurance Scores, Customer Satisfaction Scores, First Contact Resolution, Service Availability, etc.). Note: High performance standards increase the cost of the service. What resources/content will be provided to CSRs to answer inquiries? Are standard resources (FAQs) already developed? 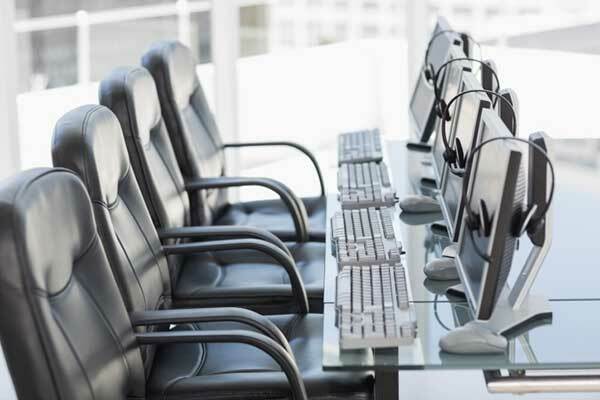 What technology will be used to support the contact center? Does the agency own the technology? Who will maintain the technology? What budget does your agency have for customer support activities? Do you anticipate that this budget will remain steady in future fiscal years? When do you anticipate contact center support to begin? What is the estimated time frame/duration for contact center support? Good luck to you as you assess your support needs. If you’re a federal employee who’d like to network with other contact center managers, please join the G3C Community of Practice. We discuss the best practices, research, and trends that improve government contact centers.